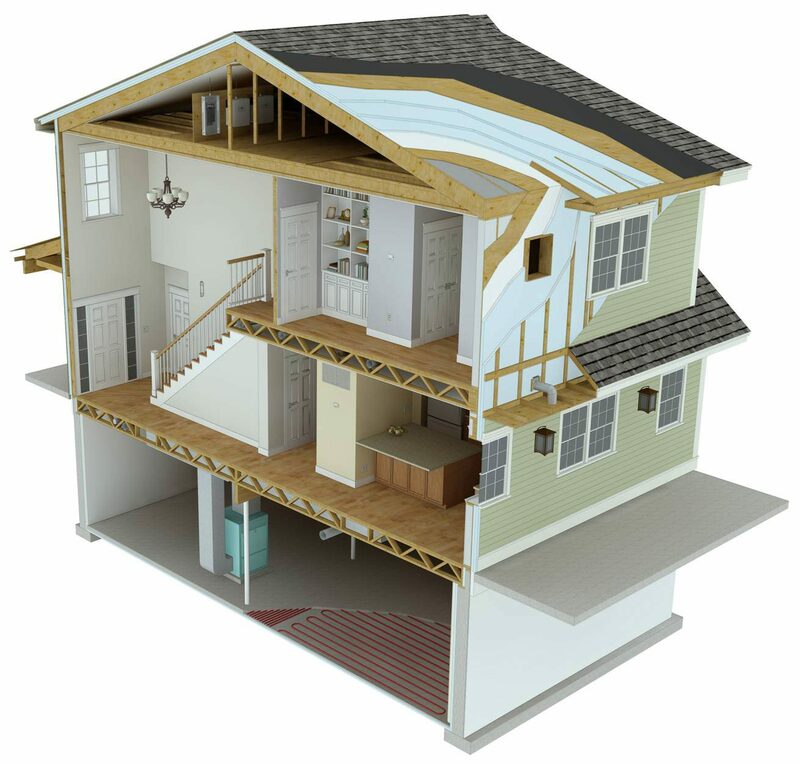 The National Institute of Standards and Technology is hosting a workshop on September 14, 2011, to provide a vision and guidance for what would be necessary to construct a net-zero energy residential building in the United States. Achieving this vision will require taking an essential first step to identify the elements to include in a framework document and the barriers, gaps and needs for developing these elements. While many of the basic concepts for the use of net-zero energy buildings were pioneered in the United States, US interest waned when energy prices declined in the early 1980s. Now, the Energy Independence and Security Act of 2007 (EISA) is driving high levels of performance for Federal buildings by 2030 and the Department of Energy (DOE) set a national goal in 2010 to achieve net-zero energy in 50% of all commercial buildings by 2050. However, "net-zero energy building" is not a clearly and consistently defined concept. DOE projects that the total U.S. primary energy consumption for 2035 will be about 114 quadrillion Btu; the percentage by sector is as follows: Transportation: 32%, Industrial 35%, Commercial 24%, Residential 23%.1 A Residential Energy Efficiency Meeting sponsored by DOE's Building America Building Technologies Program in July 2010 identified the successes, challenges, gaps, and barriers in the area of residential energy efficiency. However, there is still not a clear plan for realizing net-zero energy homes while maintaining healthy and comfortable indoor environments. Single-family homes (including manufactured homes) consume 85% of the energy used by the residential sector and incorporating energy efficiency attributes in new and existing residential buildings will help, but accomplishing net-zero homes will require a change in design and operation of building and equipment maintenance as well. Unlike many other parts of the world, where regulations are mandated from the top down, model codes and standards development in the U.S. is a "grassroots" effort, generally requiring consensus from many diverse construction community stakeholders. Building code adoption, administration and enforcement are at the state and local level, where diminishing budgets have hampered the consideration of more than the essential health and safety mandates. Training and guidance to better inform all sectors and levels of stakeholders are necessary to move residential building design, construction and operation to the net-zero energy goal. The NIST Measurement Science Roadmap for Net Zero Energy Buildings Workshop Report (NIST TN 1660 – March 2010) identified a number of broad challenges to achieving net-zero energy, high performance green building technologies. This workshop will build on the technology and behavioral challenges identified with a goal of creating a guidance framework document for net-zero energy residential buildings and a roadmap for appropriate tools and incentives to circulate, communicate, and promote these resource efficient technologies on a nationwide scale. Prior efforts in the residential sector have focused on very tight residential buildings with large amounts of insulation, passive solar techniques, and reliable ventilation. Trained architects, builders and building tradesmen, and a pathway to additional energy efficiency through building operation and maintenance have been lacking. The finance, insurance and surety communities have had limited engagement. Voluntary programs, such as utility and green building efforts and product/equipment ratings, have raised public awareness and can provide data and experience for a more structured whole building approach. The Workshop will propose the critical elements and define the program parameters necessary to develop a framework document for net-zero energy homes. Outreach for participants will include previous NIST NZEB Workshop participants as well as SDOs and stakeholders currently involved in the energy efficient residential building design.